A four week break from football for Vale comes to an end tomorrow when the University of Stirling visit, and the time out has given the team an opportunity to recharge the batteries and work on the training pitch. The last match for the Innerleithen side was the January 7 defeat to Gala Fairydean Rovers. 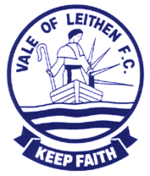 The postponement of an away fixture with Hawick Royal Albert along with a match with East Kilbride being moved forward to earlier in the season, and a scheduled free week, has given the players four weeks off from competitive football. Manager Chris Anderson said: “It (the break) has come at a very good time. “We obviously were on a bad run of results so I think it’s given us a chance to refresh things a little bit, add to the squad and the boys have worked really hard over the last couple of weeks.. In the intervening period since the Gala match, three friendlies have been arranged to give some players much needed game time. A 6-2 win over Edinburgh Amateur side St.Bernards was followed up by a 4-3 defeat to Edinburgh South Vics and a 3-3 draw with East of Scotland side Leith Athletic. Anderson was pleased with the chance to play these matches and believes it has been profitable for his men. He said: “The friendlies have been good. It’s been a good exercise – it’s always good to get a feel for playing again. Things are markedly different for both Vale and Stirling from when the two sides last met in the league. Vale had enjoyed a steady start to the season, while the students had been indifferent by their standards, and Ando’s men recorded a wonderful 4-0 away win. Now though, as a result of a slump in form, Vale are only four places from the bottom of the table while Stirling sit fifth top having been galvanised. The manager remains undaunted and he added: “We’ll approach the game like we do all the time. We’ll try and be as positive as we possibly can. “We”ll have a few more players available and have almost a full strength team to choose from so I think we’ll look forward to the game.